A collection of twin boomers I have been collating for almost two years now. It contains Argosy 650/660, Nord Noratlas 2501, Fairchild C-82 & Fairchild C-119 aircraft. Designed by Fairchild in 1943, the C-82 was intended as a replacement for the prewar C-46 and C-47 aircraft. It featured a rear loading ramp and a high twin boom tail that facilitated good access to the cargo space. It was designed for several roles, including cargo, parachute drop, troop/medical transport and glider towing. Although 223 were produced from 1945 to 1948, it quickly became apparent that the design was underpowered and not strong enough to deliver the performance promised. The C-82A was quickly redesigned under the designation XC-82B, but this design was further morphed into the C-119. The C-119 although based on the C-82, was an almost entire redesign of it's predecessor. The cockpit was moved forward into the nose to allow better use of the cargo space. It had bigger engines and a wider and stronger airframe. Fairchild began producing C-119's at their Hagerstown factory in 1949. By 1951, the U.S. government decided it needed more production capacity and so awarded a sub-contract to Kaiser-Frazer. The former B-24 factory at Willow Run started building C-119F aircraft in 1952 and built 71 before ending the contract in 1953. Fairchild continued production at Hagerstown until 1955. There were 4 main variants of the C-119 built. The C-119B, C-119C, C-119F and C-119G made up the bulk of the 1183 built. The original C-119B used two R-4360-30 engines. 55 were built. The C-119C featured dorsal fins and had the tailplane extensions removed. 303 were built. The C-119F used two R-3350-85 engines. 256 were built. The C-119G was as the C-119F but had different propellers. 480 were built. There were other conversions, such as the C-119J and C-119L, but these consisted small numbers of aircraft and were always conversions from existing types. The Armstrong Whitworth Argosy 650 was designed to satisfy the British Air Ministry's need for an aircraft that could transport up to 25,000lb of cargo and move 10,000lb over 2000 miles. Originally AW came up with a 2 engined AW.65 design similar to the C-119. Lack of funds led to the cancellation of the military project, but AW continued with a civilian version. The AW65 was redesigned with 4 Rolls-Royce Dart engines and became the AW.650. It's first flight was in 1959 and it received type certification in December 1960. 10 of this type were originally built followed by a further 7. The British Air Ministry took notice and came back to AW with a requirement for a military version of the AW.650. The AW.660 as it became known was radically different to the AW.650 in that it did not have a nose door, had side doors for paratroopers and the improved Rolls-Royce Dart 101 engines for twice the range of the original AW.650. 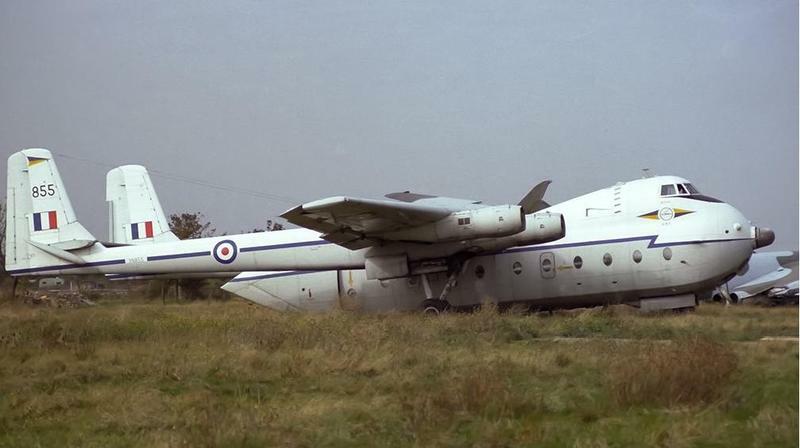 Only 56 of the AW.660 or Argosy C Mk 1 as it was designated by the RAF were built. These were all withdrawn from service in 1975. Two that were modified to Argosy E Mk 1 specifications were withdrawn from service in 1978. They flew on with civil operators until 1991 when Duncan Aviation withdrew their last Argosy. At the end of the 2nd World War, France had two primary cargo aircraft, French built Ju-52's and U.S. surplus C-47's. While they were still performing the role they were designed for, they had limited payload, were awkward to load through side doors and were tail wheel designs which sat nose up on the ground. The French government organised a design competition in 1947 for a medium weight cargo aircraft with maximum flexibility of use. 3 designs were submitted, but the Nord 2500 from Societe Nationale de Construction Aeronautique Du Nord was considered the most promising and ordered to prototype in April 1948. The first prototype flew on September 10th 1949 powered by two Gnome-Rhone 14R engines. These were found to be under powered for the aircraft and a 2nd prototype flew with 2 Bristol Hercules 738 engines driving 4 blade propellers. The new prototype was designated Nord 2501 and 3 more prototypes were ordered and extensively tested against the C-82. The 2501 was found to be superior and 34 were ordered on July 10th 1951. A further 174 were ordered over the 10 year production run of the aircraft. Meanwhile Germany, faced with the same dilemma as the French, ordered 186 aircraft, but ended up building 161 of them in their own facilities. These aircraft were designated N-2501D. The German airforce began selling most of their Noratlases in 1964 and is the source for most other countries aircraft. The Noratlas soldiered on in military service around the world until 1989. A few continued in civil roles until the late 90's. Only 1 remains in flightworthy condition today. EDIT: 29-May-2016 - Added C-119 at Metz, France. 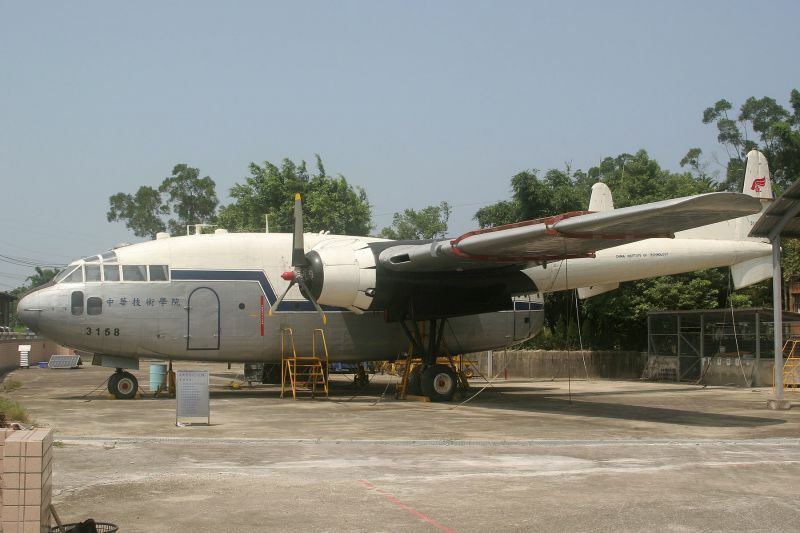 There are now 9 Argosy, 71 Noratlas, 8 C-82 & 67 C-119 aircraft for a total of 155 aircraft in the collection. EDIT: 11-Jun-2016 - C-119 and C-82 back at Hagerstown. There are now 9 Argosy, 71 Noratlas, 9 C-82 & 68 C-119 aircraft for a total of 157 aircraft in the collection. Anyone knows of anymore, then please post and I will include them. This is a copy of a thread originally posted on the old GEC here. The Noratlas that disappeared from Toulouse-Francazal has finally appeared at it's new home in Balma. Imagery was taken on the day that the starboard propeller was being reattached. She looks ready to fly now. KMZ in initial post updated. Another unexpected find. Came across this one purely by chance. Found another Noratlas courtesy of an obscure photo on Airliners.net. A little bit of searching around the area mentioned in the post, led me to the location. I'm also on the trail of a C-119 and another 3 N-2501's, so expect more updates soon. Updated imagery at Toulouse-Blagnac means that Ailes Ancienne Museum is now visible at its new home. 2 N-2501's reside there. No's 191 and 201. These weren't part of the 3 N-2501's I was on the trail of, so definitely more updates to come. Hi, Sean - I was fossicking around RAF Manston looking for something completely different, when I chanced upon this old girl. The Argosy was (affectionately?) known in the RAF as the "Whistling Wheelbarrow" if you were in polite company, and the "Whistling T-t" if you weren't. The whistling part of the nickname came from the distinctive whistling noise made by the Rolls-Royce Dart turboprop engines, and the rest of the soubriquet from the distinctive shape of the Cloud and Collision Warning radar sticking out from the bulbous nose of the aircraft. This particular example is at RAF Manston; at the time, Manston was home for the RAF Fire Service training people, so she, like the other aircraft around, was destined to be used as a rescue training aircraft before meeting her fiery doom as a fire-fighter trainer. Environmental issues have moved on since then and fire-fighters are now trained using purpose-built mock aircraft made from steel. This excellent photo by Paul Filmer shows our aircraft - XN855 - awaiting her fate, which came a couple of years later in 1992, when she was blown apart by explosives and burned. Note - you'll have to enable the Historical Imagery in GE to see her - click on the Clock symbol on the menubar and set the time slider in the upper left of the viewer to 1990. Nice link and good photos. I only went to Manston once, and it was in 1994 or 1995 I think. Not much left there at that time. 1 Canberra and 1 F4 that I remember, plus a load of big airliners. 747, 707 etc. The C-119 in the article was dismantled at North Weald and the cockpit was stored there until recently, when it was moved to Wings WWII Remembrance in Balcombe. My collection still has it at North Weald, but it is missing from the newest imagery, which is hiding in the historic layer. I may add some of the historic finds back into the main database in the future, if I don't produce a separate historic database. This was the last C-119 to see military service anywhere on the planet. Also took the opportunity to update lots of registration IDs and construction numbers. All but 1 of the aircraft at H&P in Greybull, WY are now correctly identified. KMZ in initial post updated. More N-2501 updates coming soon. The Argosy at Willow Run was scrapped and the imagery has now caught up to that fact. The dismantled C-119 at Ping Tung has now disappeared. The 4th hall at the NMUSAF at Wright Patterson AFB has now appeared and has a C-82 and C-119 hidden in it. I have found 5 more Noratlas although 1 has also slipped into the historic imagery. KMZ in first post updated. The 2nd C-119 at Fort Campbell has undergone an extensive refurbishment and is now back on display along with a 2nd C-47. The identities of the two C-119's at Fort Campbell is a matter of much debate on the internet. Even the data plates in the main fuselage and cockpits don't match on one of them. The belief is that the 2 aircraft at Fort Campbell are probably made up from 3 donor aircraft. I have labelled them according to the data plate in the main fuselage. Also added a C-119 at Agra, India. 2 months since the last update. 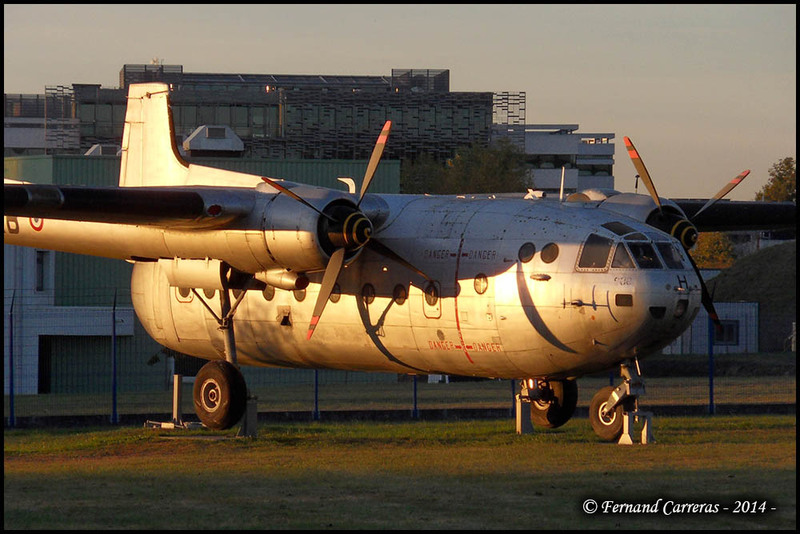 Added a Noratlas at Metz in France. It's in the historic layer but in newer imagery than the default layer. Now 155 aircraft in the collection. Hagerstown finally has its C-82A and C-119G back on display. When the repairs to their C-123 currently at Fort Lauderdale are complete, then all 3 of the Hagerstown produced aircraft will be back where they started out. Now 157 aircraft in the collection.